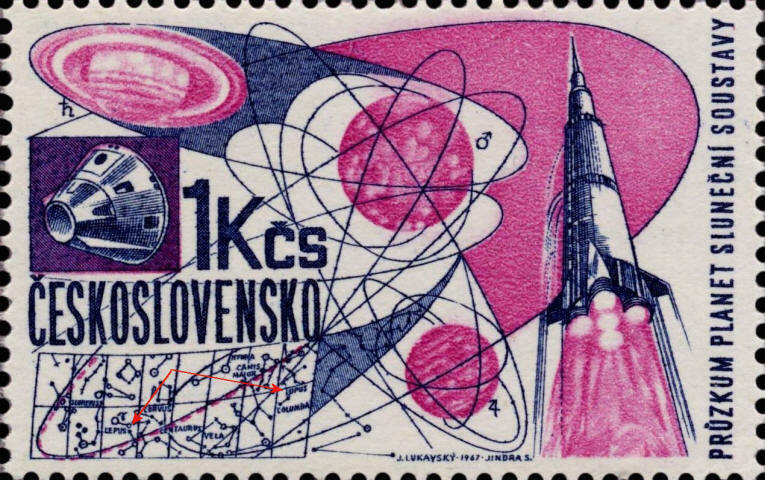 The error on this Czech stamp issued in 1967 is the interchange of the names of the constellations Lepus, the Hare, and Lupus, the Wolf, on the star map in the lower left hand corner. The arrows point to the two constellations. The one on the left is identified as "Lepus" on the stamp, but it is, in fact, "Lupus," while "Lupus" on the right side is actually "Lepus."